From the sleek projector-beam headlights that light your way to the available LED daytime running lamps that ensure all are aware of your presence, the 2018 Chevrolet Cruze is the nimble, family-friendly ride you've been looking for. Here at Henna Chevrolet, we have driver-friendly priced 2018 Chevy Cruze models for sale and offer financing assistance that help new car shoppers of all credit scores snag the Cruze trim model that complements them. Buy or lease a ride that features aerodynamic sculpting, heated front seats and even heated rear outboard seats, opt for a Chevy Cruze from our new and used dealership in Austin, Texas! The 2018 Chevy Cruze is the intuitively designed new car you've been looking for, so don't hesitate to snag one at Henna Chevrolet near San Antonio, Texas today! The sales department here at our new and used dealership will go over all the technological advancements the Cruze has to offer, like Chevrolet MyLink, Apple CarPlay™, Android Auto™, myChevrolet Mobile App, and built-in 4G LTE Wi-Fi® that can connect up to seven devices. Experience all this and more by signing up for a 2018 Cruze test drive right now! Opt for the 2018 Chevy Cruze Diesel Sedan to enjoy a 1.6-liter engine that boasts a 240 lb.-ft. torque rating or ask about the 1.4-liter turbo engine that comes standard on the Chevy Cruze. With an impressive EPA-estimated MPG rating and a 153 horsepower rating, you can rest assured your on-road needs will be met. Don't take our word for it, head to our Chevy dealership to meet this 2018 lineup and to enjoy a few test drives of the trim models that the Cruze has to offer. We're conveniently located in Austin, TX near Round Rock and look forward to going over the performance specifications of the Chevrolet Cruze you're interested in taking home. Secure a vehicle that has been designed to prevent, protect and respond to changing conditions, obtain a 2018 Cruze from our new and used car dealership. The Rear Vision Camera, Forward Collision Alert, Rear Park Assist, and Lane Change Alert with Side Blind Zone Alert provide motorists with the helping hand they're looking for. Should an accident be unavoidable, the Cruze's ten airbags work to protect all occupants, as does the high-strength steel safety cage. Peace of mind doesn't end there; the 2018 Chevy Cruze boasts an OnStar® Safety & Security Plan with Automatic Crash Response as a standard feature for an entire month! If you have new drivers in the house, the 2018 Cruze is for you! 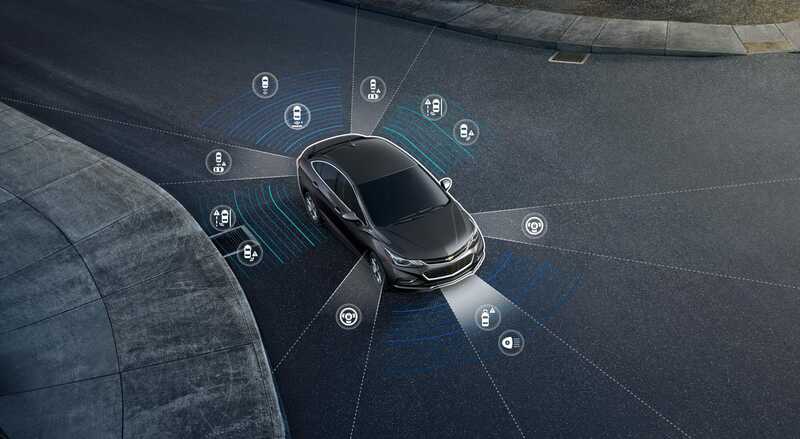 Thanks to Teen Driver technology, this Chevrolet model is able to reinforce good driving habits. Features include the ability to mute the audio until the front-seat occupants have buckled in, automatically turning on certain safety technologies and even offering an in-vehicle report that shows how the new driver handled road and traffic conditions! Interested in learning more? Don't simply visit Chevrolet dealerships near Leander, Texas, head straight to Henna Chevrolet in Austin to enjoy a detailed review of Teen Driver technology and the benefits it has to offer.